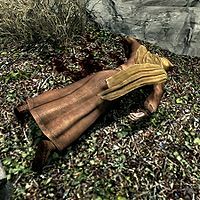 Four Worshippers can be found dead at the Shrine of Talos to the southwest of the Guardian Stones. 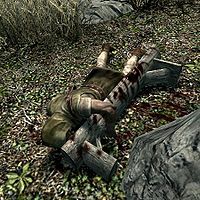 There are two dead male Nord farmers. Both wear hooded monk robes and boots, and they are both equipped with a leveled mace and a small amount of gold. The dead Imperial citizen wears a random farmer outfit, and carries a leveled dagger and a small amount of gold. 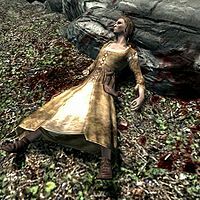 The dead female Nord farmer wears a belted tunic and boots, and carries a small amount of gold. This page was last modified on 13 December 2013, at 04:08.